Age of War hits 10,000! 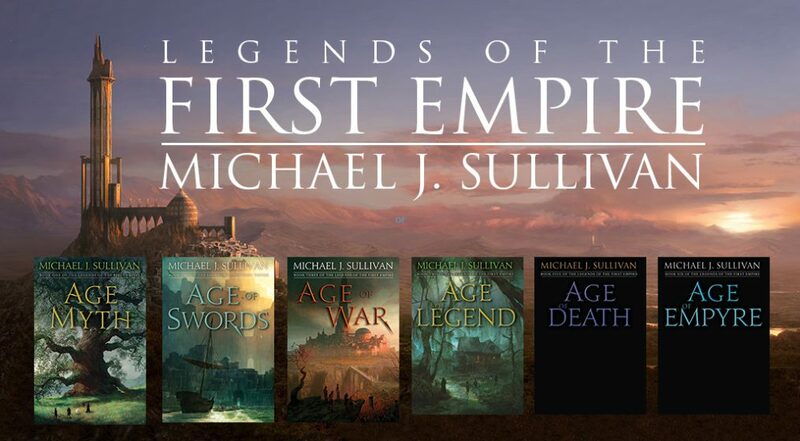 We are still 2 1/2 months out from the release, and I’m pleased to say that more than 10,000 people have added Age of War to their Goodreads shelves. Holy smokes! I’m thrilled that people are learning about the new release, and I’ve been encouraged by the reviews left by early readers. As I’ve come to expect from Michael J. Sullivan, the tale he is weaving grows in scope and gets more ambitious and brilliant with each subsequent novel. Unpredictable, at times heart-wrenching, and moments I did not see coming made this book a tough one to put down. Beautifully written, wonderfully paced, and emotionally charged, this is one you really need to read! Oh, and a reminder that there are two more giveaways going on right now. See my previous post for details about them. And thanks everyone,for showing your enthusiasm for the book. I can’t wait until everyone has a chance to read it. It was awesome. thank you for another wonderful story. Please hurry and release more. Working on it! Age of Legend should be going “into beta” in a May.